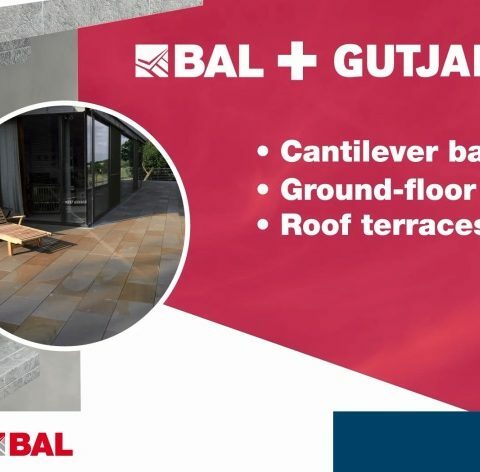 Gutjahr System Technology from BAL provides solutions for drainage, ventilation and uncoupling on balconies, patios and terraces. Its innovative technology helps protect external installations from frost damage, staining and water damage and represents a breakthrough for strong and safe inside-outside tiling. See our full range of external tiling products for balconies, roof terraces and ground floor terraces. Discover a range of prestigious projects across Europe completed with Gutjahr System Technology from BAL. Download our technical guide and step-by-step application guide to external tiling solutions from BAL. Get training for your team either on-site or at our ITC on our new external tiling solutions. Download our latest imagery including products, projects, technical drawings and more. Want to find out more about BAL's new external tiling system, request a specification or training.